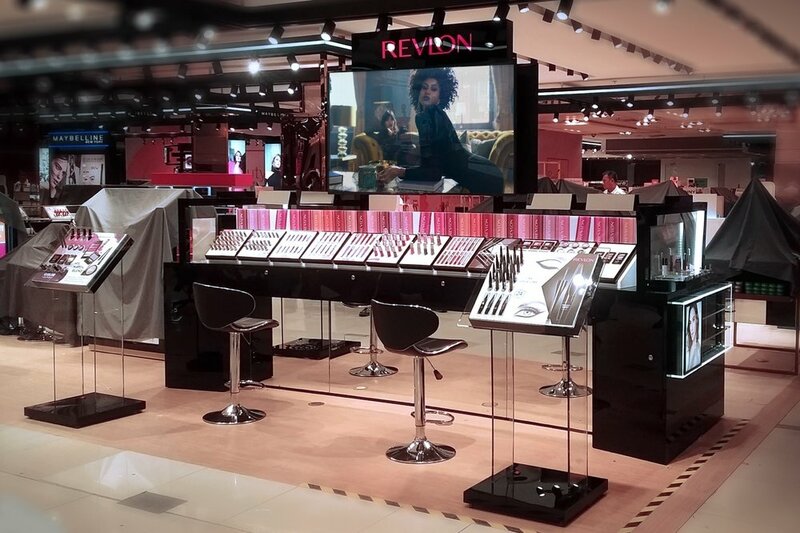 Revlon engaged iDesign to produce a “next generation” design, in the newly secured cosmetic retail space for a major Philippines retailer. 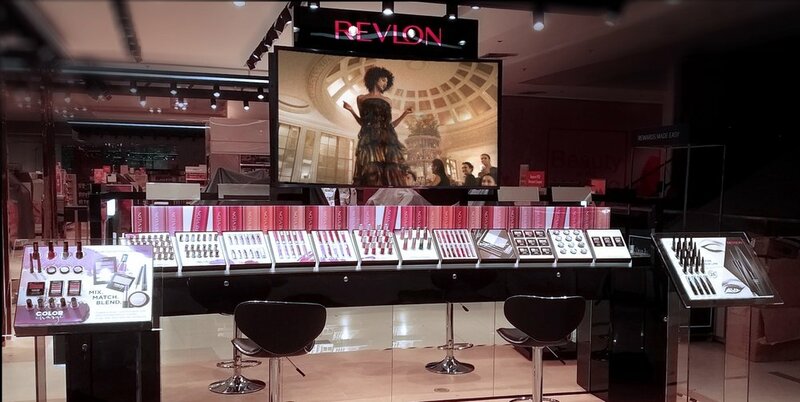 Working closely with the Revlon US team we turned around the conceptual, and engineering design within a tight timeframe. Key design considerations for the design included – brand awareness, modularity and freight, staff interaction, cost economy, assembly on site, navigation and illumination, and visibility in store. 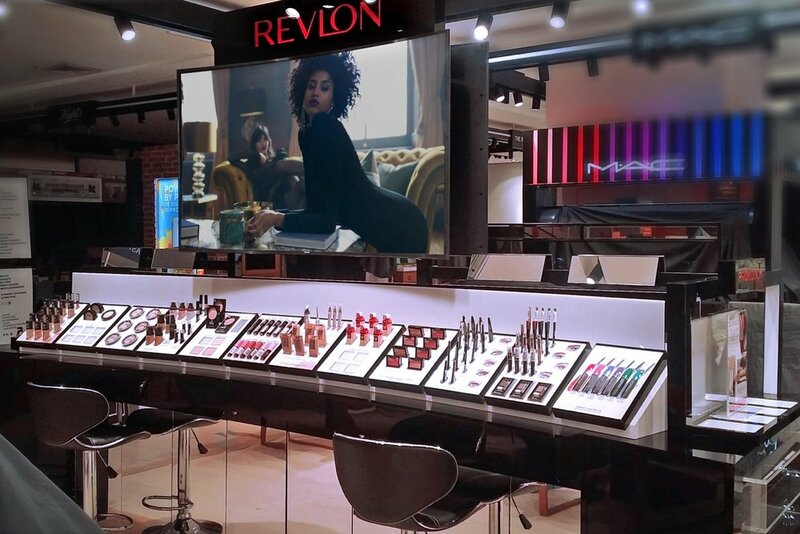 The unit was manufactured using a steel frame substructure, back to back mounted 65 inch high definition TVs, swivel mirror system, product testing tiles with storage, and functional endcaps. Premium finishes were required using stainless steel, and 2 Pac paint finish in high gloss on all cabinets and drawer system.